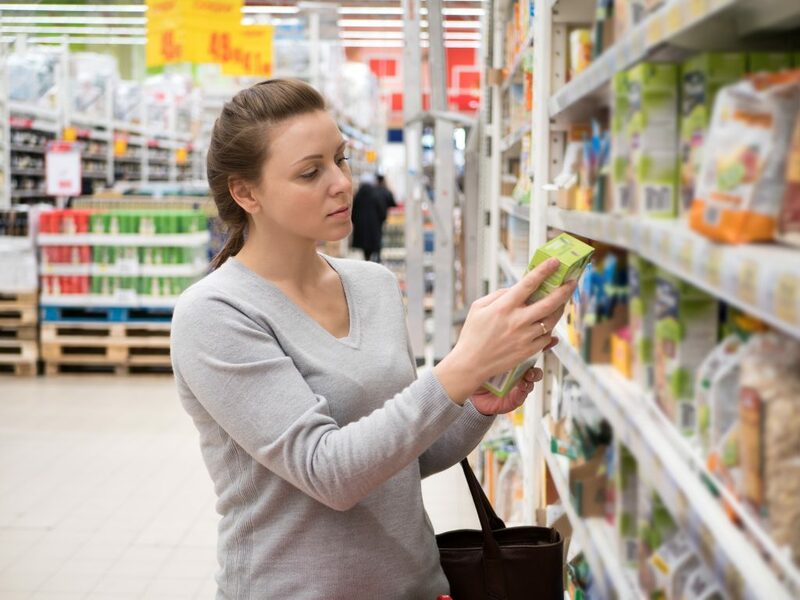 Whether you need to avoid certain food ingredients due to allergies or intolerances, or you may just be trying to make the healthiest choices for your family, navigating food labels can be extremely overwhelming. The Nutrition Information Panel (NIP) gives a summary of the nutritional breakdown of your food product and will usually include information such as total energy (kilojoules), fat (including saturated fat), added sugars, sodium and sometimes fibre. This information is most commonly presented in a ‘per serve’ column as well as a ‘per 100ml/g’ column. The ‘per serve’ column is designed to give you an indication of exactly how much of each of these nutrients you will be eating per portion of the product (assuming your real life portion size matches the size the manufacturer has indicated), while the ‘per 100ml/g’ column allows you to easily compare the nutritional composition of two similar products (eg. comparing two cereals). When looking for the healthiest options for your children, try to choose products containing the least added sugars and sodium. Be cautious making any assumptions regarding whether some foods are better than others simply because they are ‘lite’, ‘diet’ or ‘99% fat free’ as often these products have large amounts of sugar added to them to make them as palatable as their ‘original’ versions. All ingredients contained in a food product must be listed in an ingredients list. They must also be listed in order of most in the product, to least in the product. Ingredients Lists also give you information regarding any allergens that may be contained in the product. The allergens that must be declared are: peanuts, tree nuts, milk, eggs, sesame seeds, fish, shellfish, soy, wheat and sulphite preservative. In addition to these allergens, all gluten-containing grains (gluten, wheat, rye, oats, barley) must also be clearly declared on labels. As a general rule of thumb, it is best to avoid products containing fat, sugar or sodium in the top three ingredients. While fat is an important nutrient for children, particularly those under the age of 2 years, due to their high energy requirements, it is important to ensure that products you are purchasing are not excessively high in fats. Other than cheese, ideally choose products containing less than 10g fat per 100g. Animal fat/oil, beef fat, butter, chocolate, milk solids, coconut, coconut oil/milk/cream, copha, cream, ghee, dripping, lard, suet, palm oil, sour cream, vegetable shortening. While completely avoiding sugar is unnecessary, try to choose products with the least amount of added sugars. Choose products containing less than 15g sugar per 100g and check that sugar is not listed in the top three ingredients of the product. Dextrose, fructose, glucose, golden syrup, honey, maple syrup, sucrose, malt, maltose, lactose, brown sugar, caster sugar, raw sugar. Australian diets contain too much salt. Processed foods containing less than 400mg sodium per 100g are good and those containing less than 120mg sodium per 100g are best. When you start to read labels, you will see that many products, and not just those marketed towards kids and kids snacks contain well in excess of this amount. 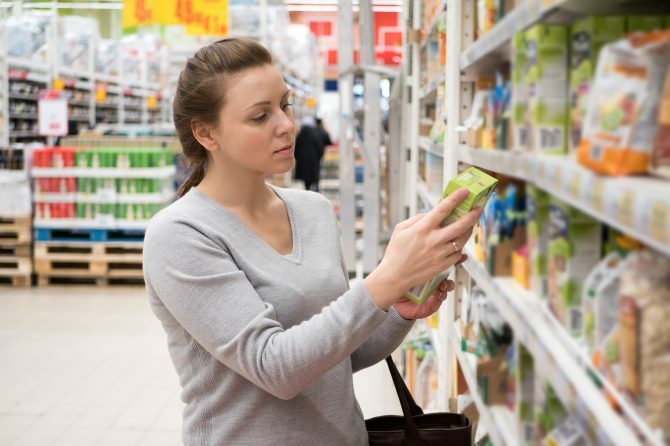 If these products must be purchased, please always take the time to compare a few like products to ensure that you are choosing the one which is the lowest in sodium (per 100ml/g). Do you do nutrition programs for adolescents? Hi Sherrill, We don’t offer any specific programs for adolescents at the moment but I would be happy to discuss what you had in mind as we are always developing new programs and groups.